Sometimes I just want a muffin. A homemade, moist muffin right from the oven. 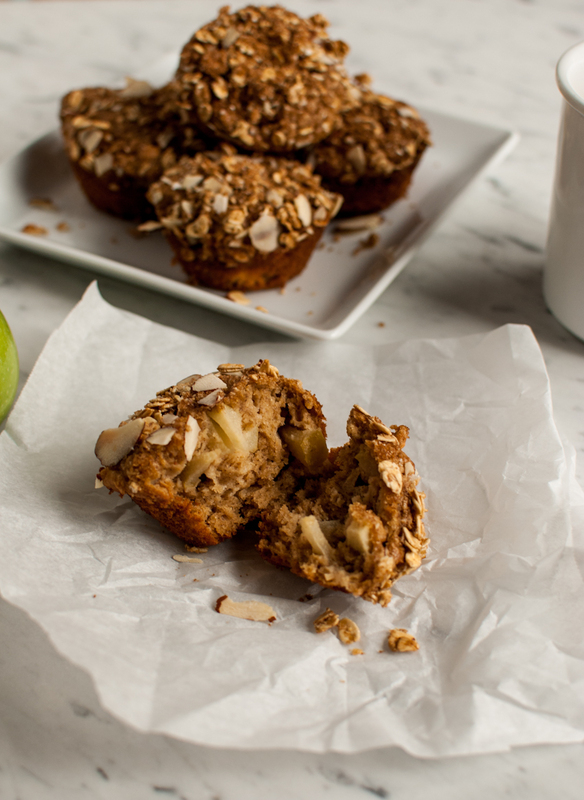 Of course, I don’t have these sort of luxuries, to lounge around in my PJ’s and wake up on my own then whip up a batch of fresh muffins… oh no… I have that pesky 5 day a week thing that wakes me up at 5 am! So I like to take full advantage of my weekends! That’s when I like to bake muffins or scones, with my coffee in hand and slippers on my feet. Yes, it’s almost Thanksgiving, and the holidays are in full swing. I’ll bet when you google your favorite food blogs, most are featuring their favorite holiday recipe right now….am I right? 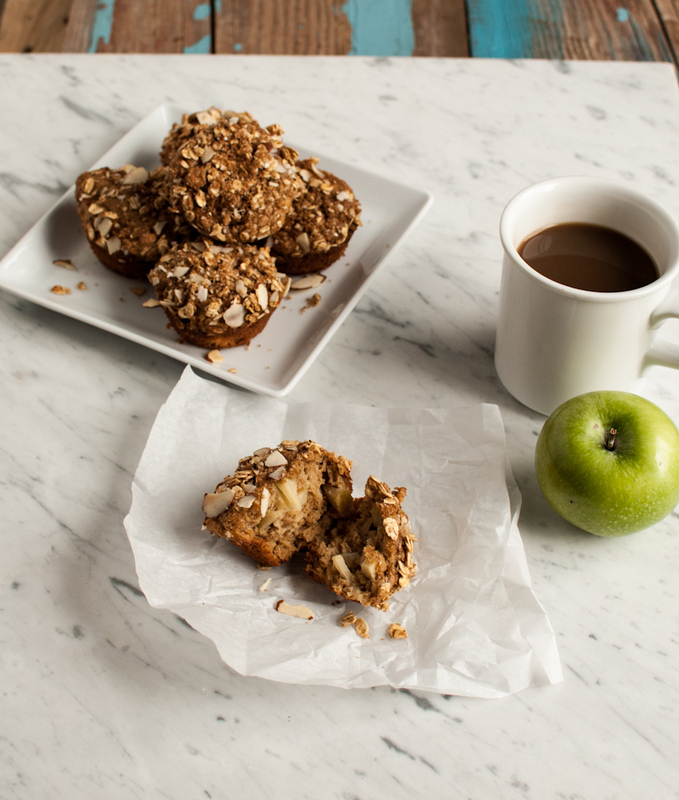 Well, before I jump into more holiday recipes, I just wanted to share this simple apple muffin that I made with my gluten free flour mix. It’s good anytime of the year! Not into the gluten free thing? No worries, just sub in your favorite all purpose flour and voila, your good to go! 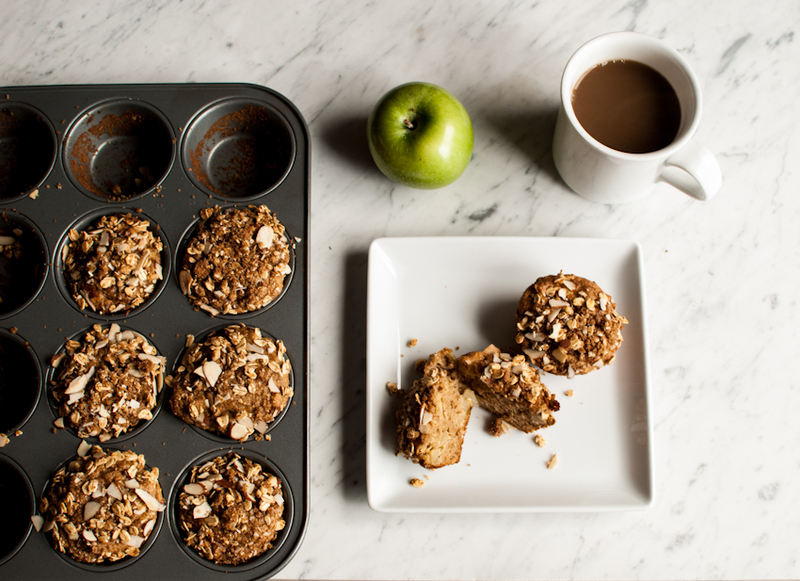 Bake these easy muffins whenever you have a craving for homemade muffins. The apples and spices remind me of hot apple pie and mulled cider. Of course, a Fall thing, but I would bake them year round :) The chunks of apple in the muffin add a nice surprise to the batter. Topped with a crunchy, nutty, streusel topping…they are perfect! I’m a big breakfast person, it’s my favorite meal of the day! Andrew usually makes us breakfast on the weekends, so I like to contribute to the sweeter side to his breakfast. 2 honeycrisp apples, cored and finely diced. 2 Tbsp unsalted butter melted. Preheat oven to 350 degrees. Line muffin cups or spray muffin tin with non stick spray. Stir all dry ingredients together in one large bowl. Then add the eggs, applesauce and butter, stirring until combined. Fold in the diced apples until combined. To make streusel topping mix all streusel ingredients together and sprinkle over muffins. Bake 20-25 minutes, until a toothpick inserted comes out clean. I love having large chunks of fruit in my muffins. These look delicious! YUM! 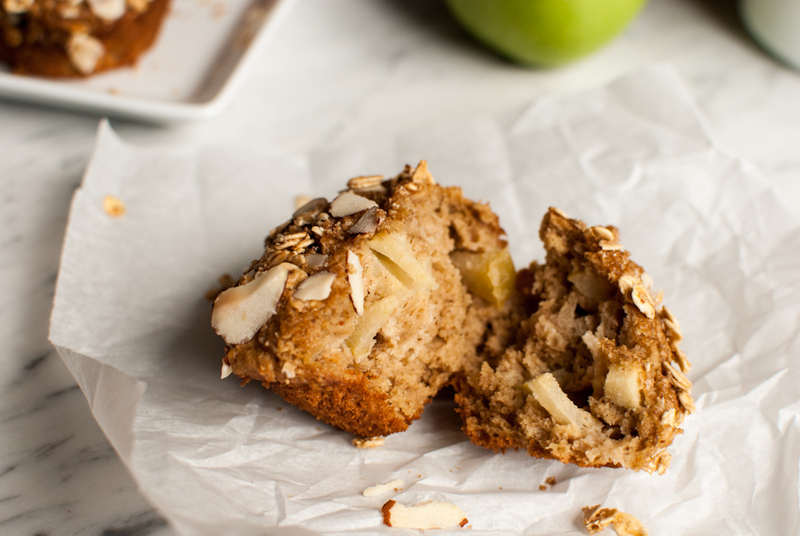 I love having apple chunks in my muffins! I do this all the time (thought not with homemade flour!) These look super delicious! I love muffins! Especially when they are filled with oats and fruit like these are!